Welcome To Our Complete Guide To The Border Collie Lab Mix. Adorably Known As The Borador! We’ll Take A Look At Temperament, Care And Exercise Requirements. As Well As What You Can Expect In Terms Of Their Size, Health And Lifespan. Labradors and Border Collies are both active, intelligent and loving breeds of dog. So it’s hardly surprising that plenty of people are considering a cross between the two. Mixed breed dogs are extremely popular right now. If you want a mixed breed that incorporates two of the most traditional canines, then a Borador or Border Collie Lab mix may be right for you. Border Collie Lab mixes are unique and adorable, like many of the other mixed breeds. But, you may be wondering what the temperament may be of such a dog or if there are any health issues you need to worry about. In this guide we are going to explore all of your questions. Helping you to decide whether this energetic, intelligent mix is the right choice for you. So, you may be wondering where the Border Collie Lab mix came from. Well, mixed breed dogs are not a new thing. Cross-breeding has been around for centuries. For example, terriers have been cross-bred for many years, and the breeding has resulting in many unique and distinct breeds like the Rat Terrier and the Yorkshire Terrier. However, it takes many years to create a distinct breed that is recognized and registered. Instead of traditional breeding, individuals are now creating what are called “designer breeds” where two purebred dogs are used to create a hybrid. Designer dogs are typically named based on the breeds used for mating. In the case of a Border Collie Lab mix, a border collie and a labrador. Like many of the other designer breeds, the Borador has come into existence within the last 10 to 20 years in North America. If you know a little bit about designer breeds, then you may be well aware that the pups usually gain their distinctive features from both the breeds. 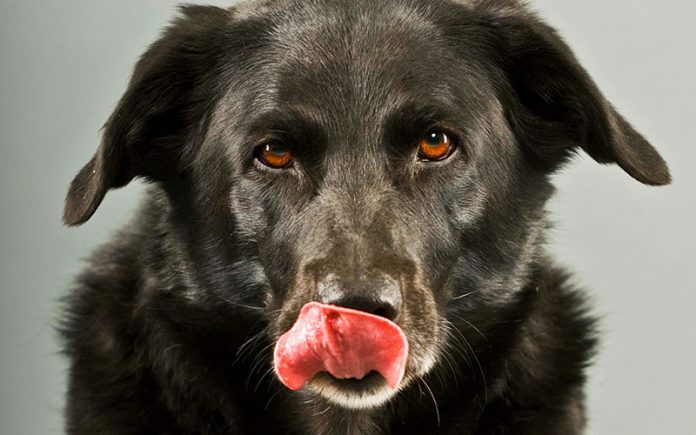 The Border Collie Lab mix is no different, with the distinct and happy face of a labrador. While the ears are similar to a Lab’s, they are just a bit shorter, and this can be said of the body too. With a stocky body that is more consistent with the Border Collie breed, you may notice the striking, piercing, and dark eyes that are also common with this type of dog. Also, while Labradors are often seen with a solid yellow, brown, or black coat, the Border Collie Lab mix takes on the distinct dual or tri-coloring of the Border Collie. Hair length is also similar to that of the Collie, but just a bit shorter, so it is typically considered a medium length coat. Since the Border Collie Labrador mix has a body that is more similar in shape and size to a Collie than a Lab, then you can expect the canine’s weight to be similar to that of the Collie as well. However, since labradors are a bit bigger, you may see that your canine is maybe 5 pounds heavier than a Collie at most. According to the AKC, Border Collies are likely to weigh between 30 and 45 pounds, so your Borador will probably be closer to the 35 to 45 pound range, or sometimes even 50 pounds for a full sized male. Border Collies and Labs both have some very unique and positive personality traits. Collies are extremely intelligent. According to studies completed by the American Psychological Association, the dogs have the same mental abilities as a two to two and a half year old child. While labradors may act more like toddlers, and have a good deal of smarts themselves, what really stands out about them is their kindness, happiness, and generally easy-going attitudes. 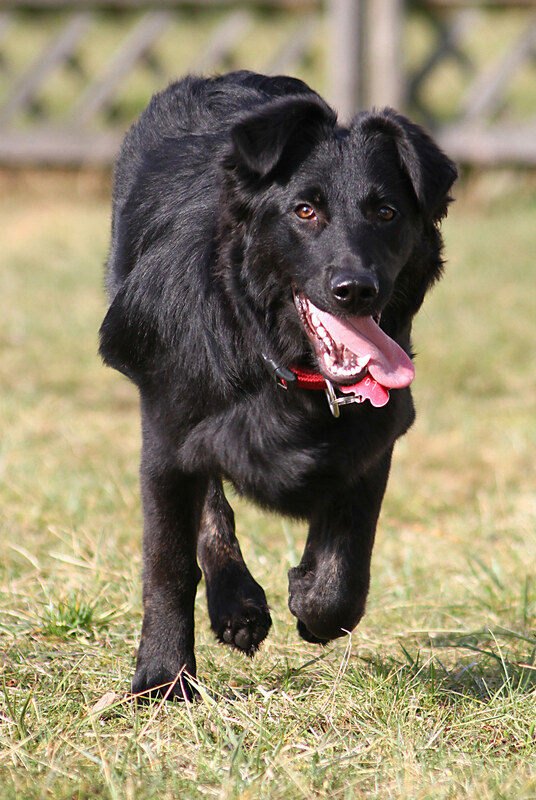 When you put the intelligent and happy-go-lucky aspects of the dogs together, you get the unique and highly positive temperament of the Border Collie Lab mix. 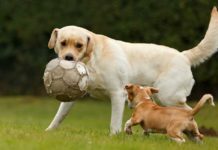 The dogs tend to be friendly, attentive, loving, and relatively easy to train, especially since they have the labrador’s need to please. Both Labradors and Border Collies are dogs with high levels of intelligence. They are therefore likely to become bored and disruptive if not properly entertained. Training can go a long way to help with this. And it’s lots of fun, too! It’s therefore wise to seek out a training program that encourage agility and activity as well as good behavior. There are various programs that can help you with training. Keep in mind that studies show that positive reinforcement or reward based training are best for your dog. Not only is it highly effective, but it reduces the incidence of problem behaviors and anxiety issues. Border Collies and Labradors both require a great deal of exercise and activity. They are extremely active dogs that love to run, play, and exert energy for hours each day. It should not come as a surprise that the Border Collie Lab mix also needs a fair amount of exercise. While these dogs are extremely active, the Lab part of the mix typically calms down the hyperactive nature of the Border Collie. This means that your canine companion will probably not run off looking for the closest flock of sheep to herd. With that said, your dog will need a rigorous exercise regimen. This means that a simple walk each evening is not going to cut it. An outdoor jog, a trip to the dog park, or free playtime in the backyard that involves running are all good choices. Exercise requirements do vary by age as well as breed. However, you will likely need to exercise your pup at least one hour a day, and maybe even two hours. The good news is that this can help you to stay fit as well. According to a study conducted by the Journal of Physical Activity and Health, you are 34% more likely to get the exercise you need by allowing your canine to exert energy. When it comes to the Border Collie cross Labrador, you can expect your dog to live a long and happy life. In general, you need to look at the life expectancies of the Labrador and the Border Collie. The average lifespan of a Border Collie is 13.5 years old. The average for a Labrador Retriever is 12.5 years old. If you put these figures together, then you can see that the Border Collie Lab Mix is probably going to live somewhere around 13 years. Although in general mixed breed dogs do tend to live a little longer than their purebred counterparts. If you have ever had a long haired dog, then you may be very aware of shedding issues. While shedding may be something you need to watch out for, the problem is not nearly as pronounced as it would be if you had a purebred Border Collie. Basically, you can expect to see fine and medium length hairs around your home, but few larger tufts or tumbleweed types of accumulations. Since shedding is not a huge issue when it comes to the Border Collie x Lab, your grooming regimen does not need to be as serious as your exercise one. Use a bristle or pin brush for grooming once or twice a week and use a slicker brush to remove any mats that you see. 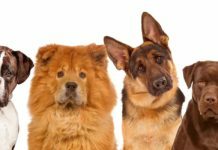 If you know a bit about breeding, then you may understand that the healthiest dogs are the ones that have the greatest genetic diversity. The more diversity, the fewer “bad” genes that are passed on that can potentially lead to serious ailments. While diversity is key, selective breeding is necessary, and it takes several generations to make sure that ailments are “bred out” of the gene pool. We know that the science behind breeding is pretty confusing, but there is one key thing you need to remember. When it comes to designer breeds, you run the chance of adopting a pup that has the “bad” genes from both the purebred parents. This means you may potentially see some ailments that are common to both the breeds. 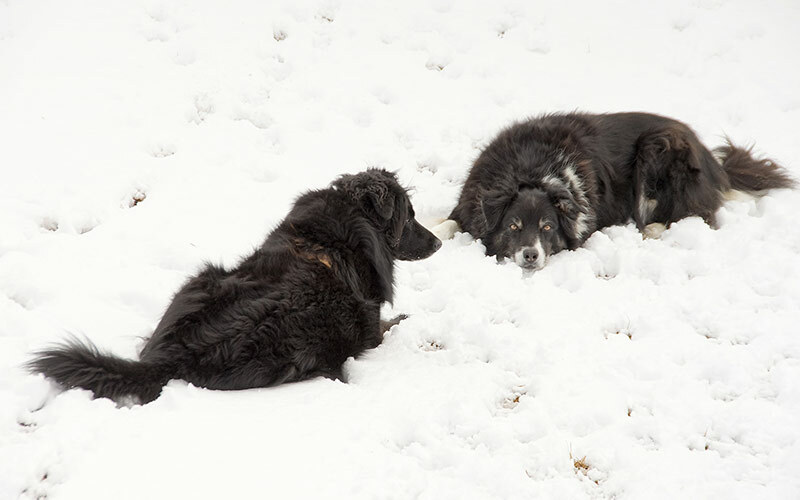 The good news is that Border Collies and Labradors have few serious health concerns. When it comes to Border Collies, you need to be concerned about the possibility of congenital deafness, according to the American Border Collie Association. The issue is caused by vascular malformations and blood flow issues in relation to the cochlea. In other words, the inner ear does not receive the blood flow it needs and your canine is unable to hear properly. The issue is most commonly associated with canines that have white heads and blue eyes. These dogs have a double merle gene pattern that has been linked to deafness. Joint problems like elbow dysplasia is sometimes seen in collies as well, but deafness is considered the most likely congenital issue. 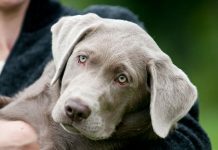 Labrador retrievers have several congenital issue that you should be aware of, and many of the problems involve the joints. Joint problems that lead to hip dysplasia, elbow dysplagia, osteochondritis (joint cartilage inflammation), knee dislocation, and general arthritis issues may be linked partially or completely to poor joint formation. 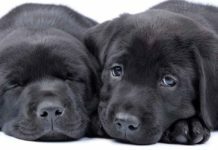 Labradors are prone to eye conditions like cataracts too, and the poor development of the retina may be a problem as well. Some canines also have heart problems that include poor formation of the valves in the heart. While heart problems are especially serious and can lead to congestive heart failure, the malformations are not nearly as common as the less serious joint issues. There are many breeders who work with purebred dogs to create mixes. Responsible breeders understand that congenital health problems can be passed down to offspring. For this reason, a clean bill of health from both parents is essential. For your peace of mind, look over recent veterinary records to make sure there are no congenital issues in either parent. Some breeders will even have their canines DNA tested to make sure that health issues are not passed down. DNA test results are the best way to guarantee that you are getting the healthiest Border Collie cross Lab possible. When you do locate a qualified, experienced, and caring breeder, then you can choose the puppy you like best. Since both Labradors and Border Collies are energetic canines, you may want to look for Border Collie cross Labrador puppies that are a bit more low-key, with less energy than their brothers or sisters. Of course, if you are an athlete who jogs daily, or if you have several children at home that are ready and willing to play, then a highly energetic Border Collie Lab puppy may be just what you are looking for. You do not have to work with a breeder if you want a Border Collie Lab Mix. Some rescues and animal shelters will have these dogs, so you can simply ask around if you have a trusted shelter nearby. Also, there are some rescues that specialize in the placement of designer dogs. Keep in mind that you are more likely to find a Lab and Border Collie mix with a diverse ancestry if you work with a rescue or shelter. In other words, your canine probably will not have purebred parents. But, this can be extremely beneficial if you want a healthy dog. After all, genetic diversity is the best way to weed out congenital health issues. Is A Border Collie Lab Mix A Good Family Dog? 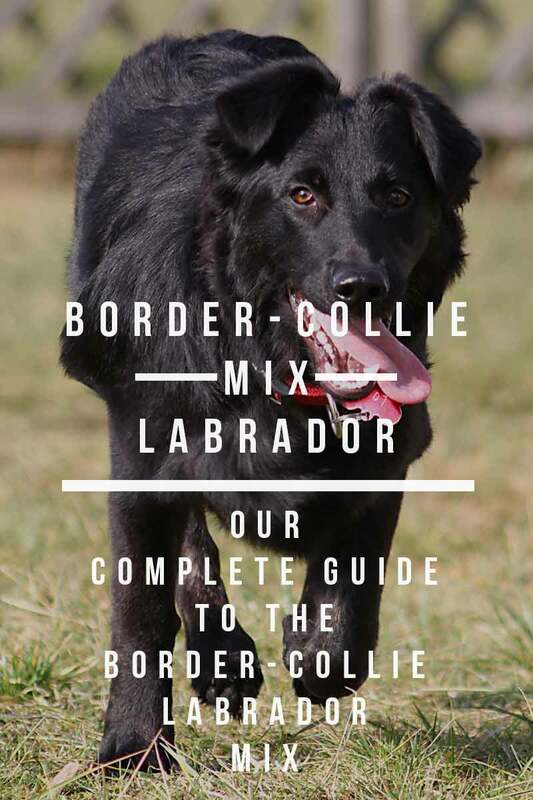 The Border Collie x Labrador is a wonderful dog if you are looking for that unique canine to join you on your weekend family adventures. Your kids will enjoy the playtime, while you can surely appreciate the loyalty and upbeat demeanor of the Border Collie Lab mix. As always, make sure that the dog you choose is healthy. Veterinary records and a wellness check with your animal doctor is always advised when adding a furry companion to your family. 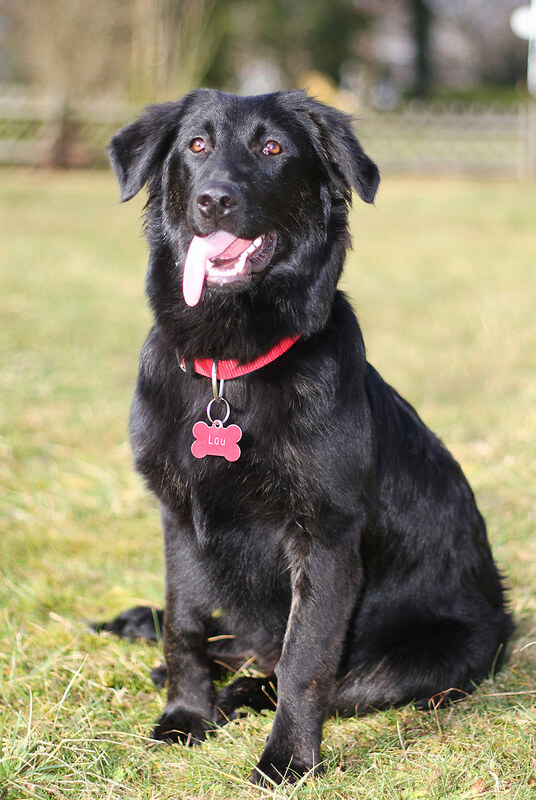 Do you have a black Lab Border Collie Mix, or are you looking for the perfect happy go lucky dog for your home? American Psychological Association. Dogs’ Intelligence On Par With Two-year-old Human, Canine Researcher Says. August 10, 2009. Hiby, Elly & Rooney, Nicola & W S Bradshaw, J. (2004). Dog training methods: Their use, effectiveness and interaction with behaviour and welfare. Animal Welfare. 13. 63-69. Reeves MJ, Rafferty AP, Miller CE, Lyon-Callo SK. The impact of dog walking on leisure-time physical activity: results from a population-based survey of Michigan adults. J Phys Act Health. 2011 Mar;8(3):436-44.
for the Merle Allele. J Vet Intern Med 2009;23:282–286. O’Neill, DG et al 2013 Longevity and mortality of owned dogs in England. The Veterinary Journal. I just found a borador last week. Didn’t know much about the mix prior but reading about them makes me so happy. They seem like the perfect combo of smart, energetic, calm, loving dogs. She’s 10 weeks old and such a doll. Though we found her at random we know it was meant to be. Perfect breed and she was born on the same day as my boyfriend (her human dad). I can’t wait to watch the grow up. We had a Borador girl until two weeks ago, when she died at the age of 14. She was the perfect dog for us, extremely friendly with everyone, very patient with our very young grandchildren, interested in everything and everyone around her, beautiful, intelligent, happy, always content. She loved excercise, but didn’t sulk if sometimes it didn’ happen. We are devastated, she was in every way part of the family. The house is empty without her. We would love a young Borador to join us, but they are not easy to find here. We live in Belgium so I think you won’t be able to help us. But it is nice to read about so much lucky owners. Have a wonderful 2019. Me and my family have a black lab border collie mix. And he is the best dog that we have ever had. I totally agree that these dogs are the best kind of dogs that u could get a family. After my old dog died (he was just a generic mutt but still a fantastic dog), my family ended up going to a nearby shelter I volunteer at after the Rescue Waggin had come. I saw a picture of a dog on their facebook page for the dogs that come in and saw a golden and white dog named Cheerio that I instantly knew I had to meet. I wasn’t sure why but I just had a good feeling about her and how she’d get along with my family. Since she was a Rescue Waggin dog, she’d come up from down south which mean the shelter had no information on her outside of what little they’d done with her in the couple of days they’d had her. Adopting her turned out to be one of the best leaps of faith we ever made. I ended up renaming her Chloe from Cheerio and she’s an absolutely amazing dog. She was clearly somebody’s pet and had been around elderly people before because she’s extremely gentle and great with my grandmother. She knew what a dog bed was when she first came into the house. She was already housebroken as well. She’s just an extremely extremely sweet, gentle dog that loves to get all the attention she can get and is extremely friendly with strangers. She doesn’t bark a whole lot either which is both good and bad. About the only downside is that my grandma has her spoiled to go out about every hour but she at least doesn’t pull that with me when I’m upstairs with her if my family’s gone. The thing that struck me as crazy was that the shelter thought she was some sort of Shepherd mix! They just make guesses at Rescue Waggin dogs’ breeds based on appearance, but I can’t understand this one for the life of me. She’s just so obviously a collie mix! She has the trademark body shape, ears, and face of one. I figured out she was a lab mix because she looks like a border collie but she’s golden and white which means she’s some sort of mix. I’ve loved collies since my mom’s best friend had a purebred border collie when I was much younger and always wanted one. I ended up achieving my dream without realising it until much later! My late partner and I got a call from a shelter we adopted from in the past. They said they raided a puppy mill and we were on their list of good pet parents. My partner wanted a black lab, well when we went to adopt her she was only seven weeks old. We took her to our vet who informed us that we had a Border Collie/Black Lab mix. I was disabled but we went to the park every day and then she had a yard to run in. My partner passed when Rosie (dog) was 4 yrs old. Before then I realized she had the knowledge to help me when I needed it. Whether I fell and she would bring me my cell phone. Then she started to bark when I needed help so she was certified as my therapy dog. And allowed to live in senior housing where no large dogs are allowed. She is the sweetest, most loving animal I have ever had. She loves everyone and everything. However she is now 12 and having a lot of health issues which is breaking my heart. This dog is all I have. I live in the Hudson Valley, N.Y. area and if anyone knows where I can adopt another pup like her I can give her a very loving home. Rosie is still with me but it mey be better to have both here at the same time so one can learn from the other. Sounds strange? Not really if you understand how intelligent these dogs are. A pure bred Border Collie would also be good. I am on disability so I can not afford to buy a puppy. My aunt pays for all of Rosie’s health care. Thank you and please say a prayer for my Rosie. Interested in adoptiing a border collie/lab mix. We have one now who is the best dog ever. We have moved to a farm and need another similar dog to keep him company. We are located in Maryland. Anyone have an idea where we can acquire a Labroador? I have a beautiful golden retriever/collie mix. She doesn’t get the exercise that she needs here, I can’t walk her because of my back and young child. She was my ex’s dog and I am the one that’s been making sure she gets the things she needs; everything except enough exercise. She’s 5 years old and still has lots of life in her. She loves the water and walks and is good with children. She’s had a lot of practice with patience because of my son. lol … I’d love to find her a place like yours to find her another family that would give her the best life she deserves. The only issue I see here is – I live near Port Huron, MI. We have a six year old border color lab mix. We’ve had him since puppy. We just had a baby and he’s not getting enough exercise. We would be willing to discuss a rehome. We adore our Drake but he’d be happier with someone who had time for him. He loves to run, play ball, hike, truck rides to get ice cream, and is a loyal companion. If interested let me know. Does anyone have a contact re upcoming Borador pups? I am in Sydney and just started looking after 10yrs without one. Hoping to fine someone within a few hundred kms of Sydney. I was listening to the swap shop on the radio. Family had a 7 month chocolate lab mixed with border collie that needed a home. I was looking for a dog to replace my best friend/dog, Copper. That’s how we came to have Dutch. He is a gentle and well behaved. Best dog ever. In 2001, I moved to Harrogate in North Yorkshire and started lodging with a family who had a rescued dog called “Freeway”. This wouldn’t ordinarily be related to this website except for the fact I highly suspected that freeway who we all came to love me in particular in this case, had border collie traits in her. 1.Short stubby nose and short silky ears, unlike your typical Labrador/Retriever mix. 2.Intellegence she was much more smarter than any dog I had ever known at that time and also life span she lived to be almost 14 in dog years she was just shy in this regard being 13.4yrs which is tight on the mark for that breed. 3. She was always trying to herd me into somewhere she wanted me to be, sure she could have learned that except in her case this came naturally so that’s another reason. 4. she was the average length of a border collie mix although slightly higher at the hips in terms of hight and her behaviour also didn’t match a lab as she acted similar to a border collie although that came naturally as well. 5. her coat was made of four distinct sizes the first being ultra thin the next slightly longer and the next being medium and lastly her top coat was longer although again not typical for a Labrador and there were subtile markings on her that also didn’t match a lab although these were hard to find in her golden coat. the family I lodged with had her from a puppy in 1993/1993 until she died in 2006, they had her tested but all the best could say was she was a mixed breed and couldn’t ever narrow this down any further, although as I suspect I think she was meant as a working dog although was to soft so was abandoned and left to die by her first owners not the ones I mentioned above although thankfully she found a good home and had a good life as specially as she and I were instant soulmates. I knew freeway from when she was 7yrs until her sad death and I still miss her today as she was my one and only true love and guardian angel plus girlfriend as I never had any luck with humans in terms of love, although when I met her I just knew we were right for each other and the rest as they say is history. I have a new dog also a girl who is now almost 1yrs of age although she’s more your typical American Labrador as she’s a pure breed or pedigree although I love her just as much and she’s also named freeway as I named her in honour of my late beloved angel dog. Ps- sorry I don’t have any pictures of her as of yet on this website although that’s because I don’t want this message taking up too much space hogging stuff isn’t my style. My borador ‘Newt’ is a wonderful dog. Of all the dogs I have had she potty trained the fastest. She loves to fetch and run but swimming is her favorite. My family spent a summer at a river and she would go swim in circles for hours. We had chickens for a while and she loved to heard them, she would even hold them down with one paw and wait so I could come get them. Once my husband was doing some target practice and without ever having been trained to she heard the gun shot and went to retrieve the can he was shooting at. Amazing dog, she is great with our 7 year old daughter and has never destroyed anything in the house. Great article. I am looking to adopt a borador late this year or early next year. I want to find the right match and I will be able to give 100% of my time to our new member. I would love to be contacted with any help or suggestions. I am from Brooklyn, NY. We’ve had our Borador (Roscoe) for 9 years now and I can honestly say he is the best dog I’ve ever owned, and I grew up on a farm with a lot of dogs. They found him abandoned in a box by the side of the road in Missouri and he and his sister are the only ones in the litter to have survived. This article is the first one that came up when I Googled Border Collie / Lab mix and it appears to be very accurate. They have the lovable happy-go-lucky nature of a Lab and the high intelligence of a Border Collie. Just a wonderful dog all the way around. my first dog was a labaredoor collie cross i guess. as his dad esscaped (a lab) found a collie mum and pups were made in 1995 designer breads were never arround he was considerd a hinze 57 and cost my mum and dad around £10. he was gourugse and so loving i could do anything. he lived to 15 and a half and outlived his brothers and sisters. he was thin coated like a lab but had a bit of a collie face but the intellange of both combined. he liked nothing more then to go to the beeach. he was the best dog. i had him since i was a year and a half old. he was my baby he would always sleep with me on a day time and tell mum when i was in pain as he would do this thing with his head on my lap and look at me. when mum asked i said no but she then asked buddy and buddy would look at her then lay back down. and she knew. at the end his legs gave out. but his heart was still that of a 7 year old. i was never so proud to have a brillant first time dog. when i was little all i could say was poppy puppy dog so he nearly got called poppy. but mum said buster. so that was his name. Ive had my lilly for 12 years and i never knew what she was mixed with until i found this artical. She’s the best dog i could have ever asked for. Shes intelligent and patient, loving beyond measure, loves to swim and chase ducks and squirrels, and so great with children. She likes the company of cats, although im allergic. She was in a box on the side of the road with her bothers and sisters when a friend’s friend found them. Shes been with me through thick and thin, and gives me kisses every time i cry. She believes her love can cure me, and i love her more than anything. I would reccomend this breed to anyone who wants a dog who can understand what youre saying, and wants a dog that is ready for adventure. I have a Lab/Border Collie mix we rescued from the local Humane Society named Libby (originally named Lipstick). She is now eight years old, weighs about 70lbs, and when she is standing on her hind legs she comes up to my shoulders. (I’m 6’00”) and still acts like she is two or three. Temperament wise, she is a great dog! That being said, she also has many bad habits such as jumping on guests, eating everything in site, invades person space and barks…a lot! Anything out of the ordinary she is barking at… hot air balloons, animals, neighbors in their own house across the street. She can do flips when catching a tennis ball, and can jump over a 4 foot fence with ease! I have a 2 year old Borador named Balto. His mother was a full chocolate lab and father a border collie. Got him at 10 weeks old and he has been the best dog ever. He absolutely loves to cuddle but will play fetch for hours if you want to. He also loves going swimming and naturally just retrieves anything I throw in the creek. I definitely recommend the mix. We are in the UK and adopted our borador from a pound in Ireland. She had been surrendered at 7 months old because she was too much for her family. She is now 2 and a half years old, very energetic and loves her gun dog training and holidays in France. Boy, can she run. She makes a great friend for our 6 year old black lab. She is very loving to people and sometimes too playful with other dogs and will run off to find dogs on walks. I’ve had my lad Archie for a little over 7 months. He’s definitely lab x collie, but I suspect he might have a little GSD in him as he’s quite leggy and tall. He’s my first dog, but I’ve not met a kinder, intelligent animal especially since he’s a rescue dog and can have anxiety in new situations. I got him at just over a year old after he’d spent 2 months in a shelter. According to them, he came in an emotional wreck. His old home unfortunately had no idea what they were doing. He was their first dog, but they saw every little ‘quirk’ such as him falling over (not uncommon in a growing pup with gangly legs) as a health problem and took him up the vets each and everytime. They also muzzled him as he anxiety barked at their young child and I suspect crated him without desensitisation as he gets very stressed when he’s contained. I aim for 2 hours a day exercise. These dogs are high energy breeds and it shows when they aren’t run. Labs are chewers and bored dogs often become destructive. Collies are everywhere, leaping off the furniture, and are pretty creative with amusing themselves. I know Arch likes to ‘deconstruct’ his toys and any packaging he can get his teeth around. He’s also a shoe chewer, so any footwear has to be hidden away. He’s also taken to licking the leather furniture, something he’s currently doing as I write this lol. I have a black lab / border collie mix and he is the most exceptional, intelligent & mannerly dog I’ve ever seen. He is a male & I think he has some of the same qualities as a cat. He balls up a towel before he lays on it, he bats around a ball and controls it to play soccer, backspins it & runs it from room to room then kicks it to make a score. He loves to play ball, that is his fav. He stops on a towel that is right inside the front door so I can wipe off his paws before he goes thru the house, if I am playing with him & the phone rings, he will pause and wait for me to finish before we resume play. While we are playing in the house, I ask him “what are you forgetting”? & he will come up to me & give me a big hug. He is a great watch dog along with being very affectionate. If he gets in the way or layers in the path you are going, all I have to say is “excuse me” and he will scoot over or move. Everyone he meets are truly charmed by his demeanor & affection. He could never be replaced, no way, no how! Oh and he is driving me crazy while putty training him. How old is he? What did you name him? We rescued “Bonehead” over 2 years ago from a nice place in the northern suburbs of Chicago. The kids named him Chase and we are all in love. He is the best dog. The neighbors all enjoy him as well. He is just the right amount of play and down time. He is gentle with my now 4 year old (she was 2 and my son was 5 when we adopted him). He actually protects the kids very well. Not sure that we could have asked for a better dog!